Suitable lighting in the workplace provides workers with sufficient light to be able to perform their jobs well. It helps to prevent mistakes being made, premature tiredness setting in, and maintains alertness. 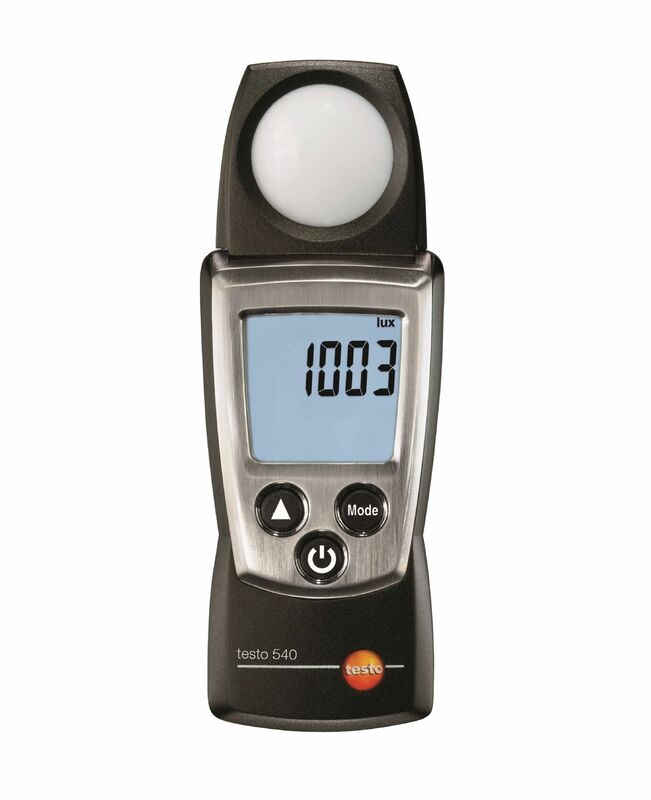 The testo 540 light meteris a quick and easy-to-use entry level model designed for measuring lighting conditions in the workplace. 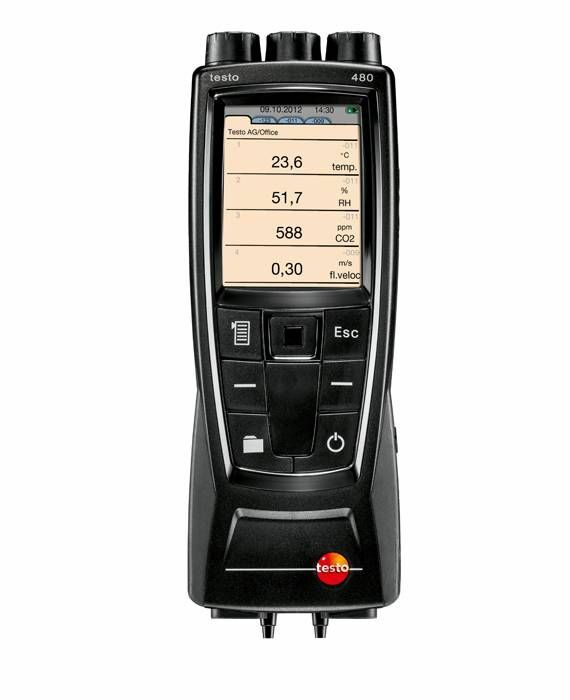 The testo 400 is the universal measuring instrument for all IAQ professionals. Measure, analyze and document all IAQ and comfort level parameters using just one instrument – simply, conveniently and in compliance with the standards. 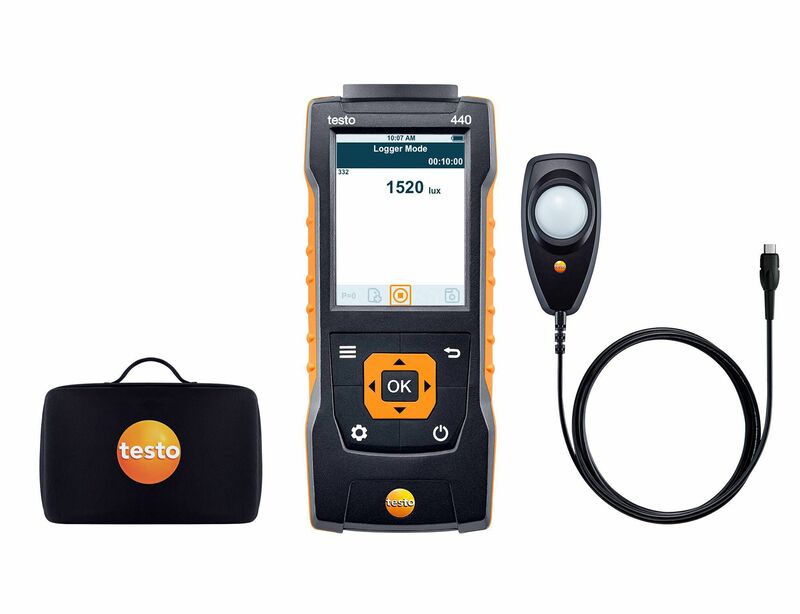 High-quality measuring technology, intuitive measurement assistants, versatile documentation options and a comprehensive selection of IAQ probes make the testo 400 the perfect partner for your day-to-day work. Kit for measuring the illuminance in workplaces, for example in offices or in production areas. Keep the testo 440 air velocity and IAQ measuring instrument and a lux probe safely stowed away in the case. So you can get down to work straight away! Air flow measurements in ducts, temperature measurements in laboratories, humidity measurements in production, pressure difference measurements in clean rooms. 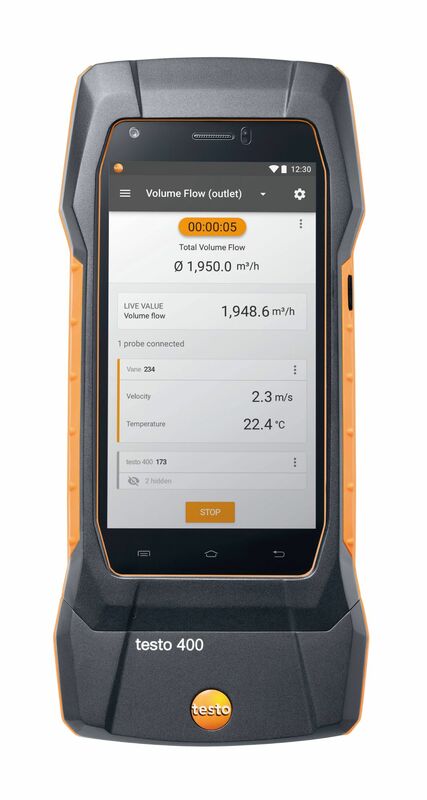 The testo 480 digital temperature, humidity and air flow meter comes with a wide range of optional sensors that allow you to measure, analyse and log these and a variety of other parameters with only one device. 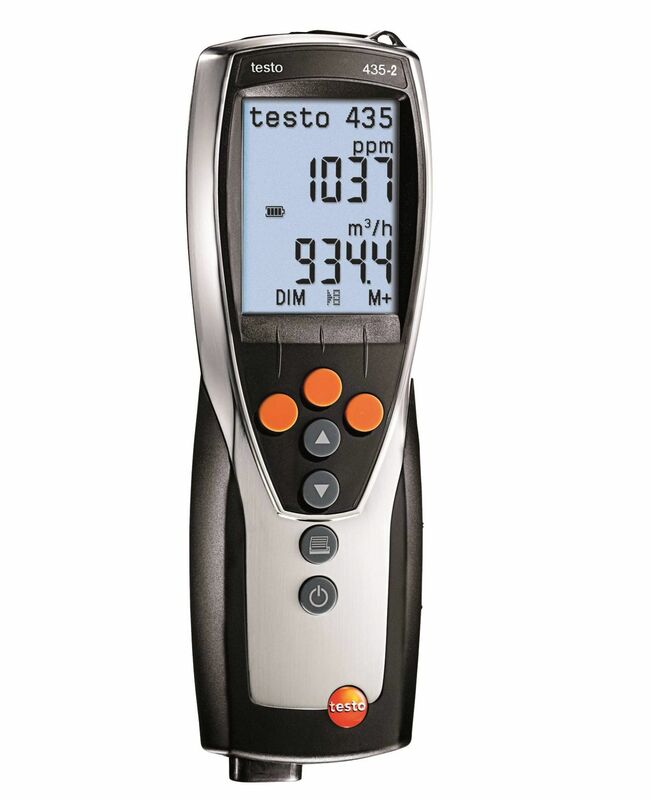 The testo 435-4 multifunction indoor air quality meter allows you to carry out all the measurements you need to inspect and adjust ventilation and air conditioning systems and to check the quality of the indoor air. There is also an integrated pressure difference sensor for pitot static tube measurements and filter monitoring and a wide range of optionally available sensors and probes to choose from. 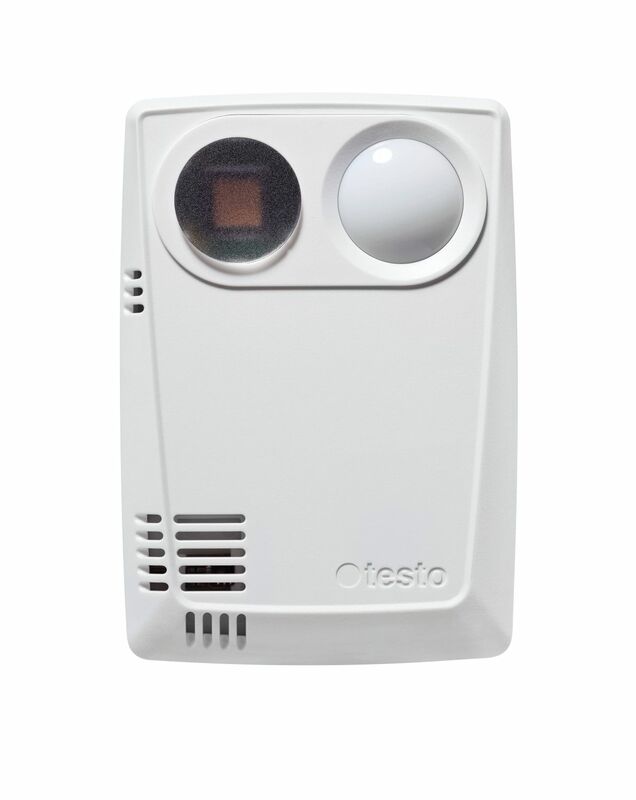 The testo 435-2 indoor air quality meter allows you to carry out all the measurements that are necessary to check and adjust ventilation and air conditioning systems and assess the quality of the indoor air. Select from a wide range of probes and sensors. Because it’s you know best what your meter needs to be able to do! 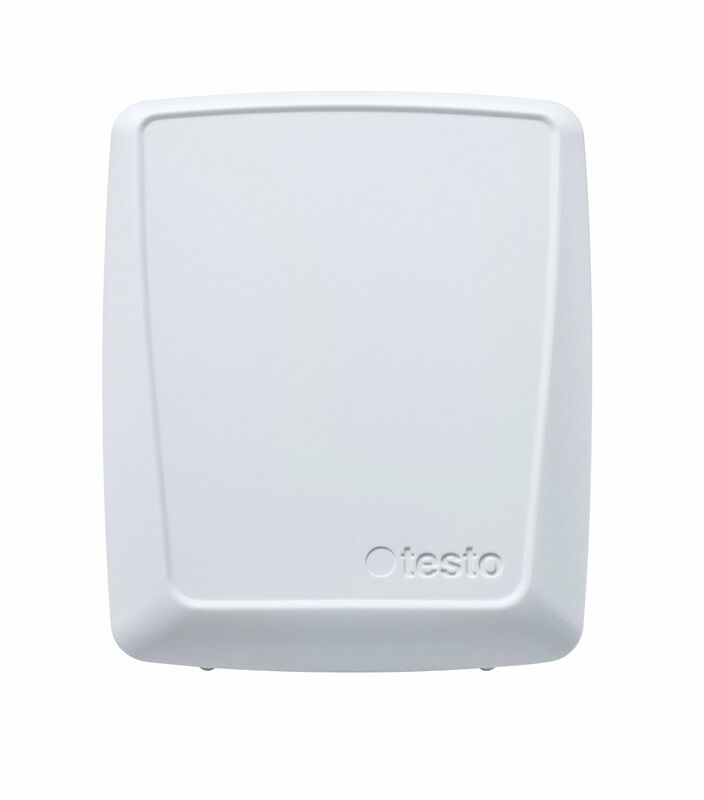 Protect your valuable exhibits and archived material with WiFi data logger testo 160 E, which has connection options for 2 probes, ensuring comprehensive monitoring of the ambient climate and the light conditions in museums, storage depots and archives at all times. Precise, reliable measurement of all air velocity and IAQ parameters with just one measuring instrument: the multifunction measuring instrument features intuitive operation with clearly structured measurement menus. Adjusting air conditioning and ventilation systems, monitoring air quality or carrying out comfort level measurements – thanks to versatile options for combining with high-quality, digital probes, you are ideally equipped to carry out your measuring task (please order probes separately). Precise, reliable measurement of all air velocity and IAQ parameters with just one measuring instrument: the multifunction measuring instrument features an integrated differential pressure sensor and intuitive operation with clearly structured measurement menus. 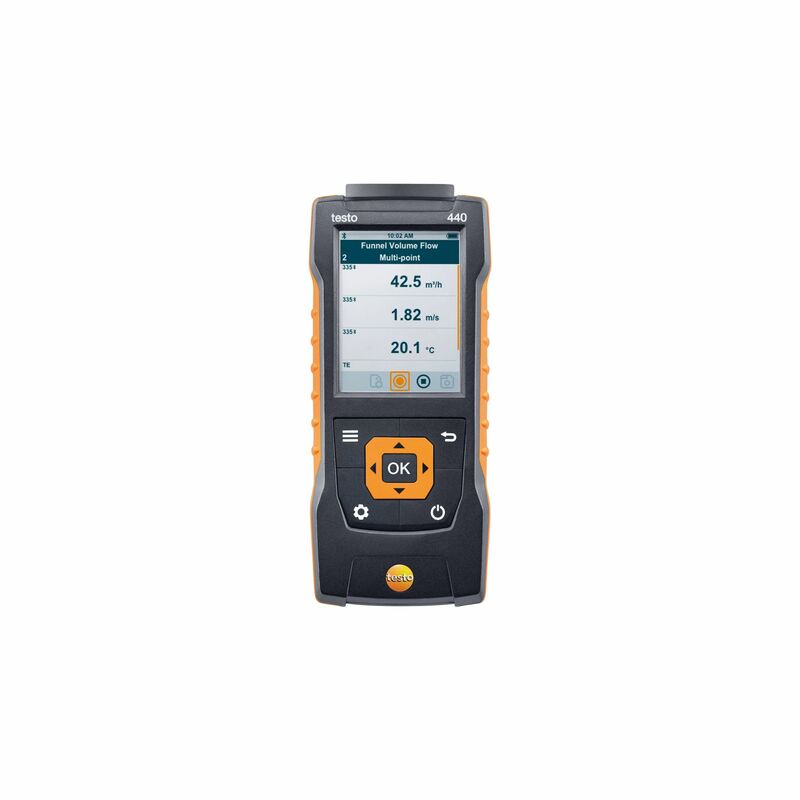 Adjusting air conditioning and ventilation systems, monitoring air quality or carrying out comfort level measurements – thanks to versatile options for combining with high-quality, digital probes, you are ideally equipped to carry out your measuring task (please order probes separately).